Kirk Von Hammett's Fear FestEvil!! 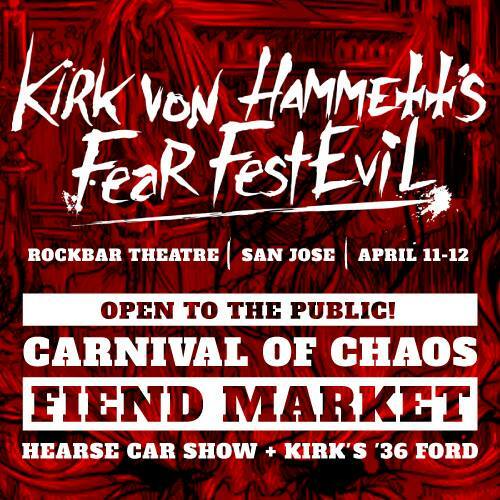 Join us this weekend in San Jose for the second annual Kirk Von Hammett's Fear FestEvil! we will have a booth this year so come by and say hi! Plus a bunch of rad Bands, Vendors, a freak show and Kirk Hammett's Killer collection of Horror memorabilia. Be there! Click the image below for the Fear FestEvil website for more details and tickets!